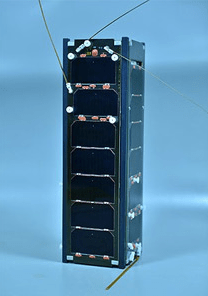 TURKSAT-3USAT, a three unit amateur radio CubeSat developed to provide SSB/CW communications in a 680 km Low Earth Orbit (LEO). 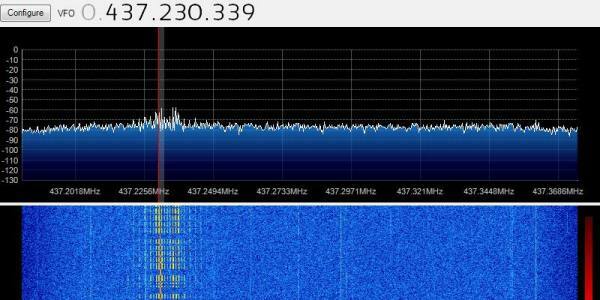 TAMSAT, the Turkish Amateur Satellite Technologies Organisation, have produced a V/U linear transponder and there will be a CW beacon. The VHF/UHF transponder and all other subsystems, except the stabilization, are doubled for redundancy. Where possible, both COTS systems and in-house development are employed. The power is provided using solar panels and lithium polymer batteries together with super capacitors. Satellite stabilization is accomplished using passive magnetic attitude control system with hysteresis rods. There is a camera payload to take images of the Earth. The satellite has a de-orbiting system which will make it re-enter the atmosphere at the end of its operational life. Not active. Launched and active. 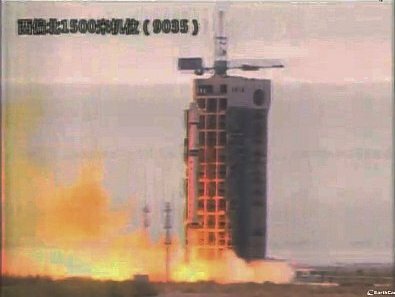 Launch on April 26, 2013 at 0413 UTC on a CZ-2D rocket from the Jiuquan Space Center into a 680 km Low Earth orbit together with BugCube-1 and NEE-01. Below, see and hear the data I received on April 26, 2013 10:40 UTC Using a FUNcube Dongle Pro+.